I can’t believe we are already halfway through the challenge! I’m definitely starting to stress about a few items arriving in time, but other than that, I think I’m making good progress. My biggest accomplishment for the week was hanging the gallery wall. I’m still planning to change out a couple of the pictures, but other than that, this project is done and I’m so happy with how it turned out. I’m so excited to finally have a place to display some of the art I’ve collected over the years. About half of the prints I bought while traveling and the rest are from thrift stores or Etsy. In other news, my dressers were delivered on Tuesday. I’m so excited to finally have a second dresser in the room. I’ve only put one of them together so far, but I’m pretty pleased with the quality. 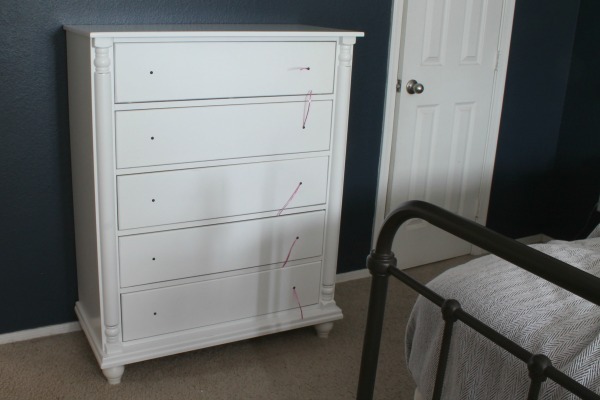 The drawers are kind of small inside, but I knew that from the reviews. I still need to add the knobs, but I want to buy different ones first. The ones that came with the dresser are just plain white wood ones. This week I also decided to change up my plan a bit. I was originally planning to move the hamper in the closet and add a full-length mirror in its place. 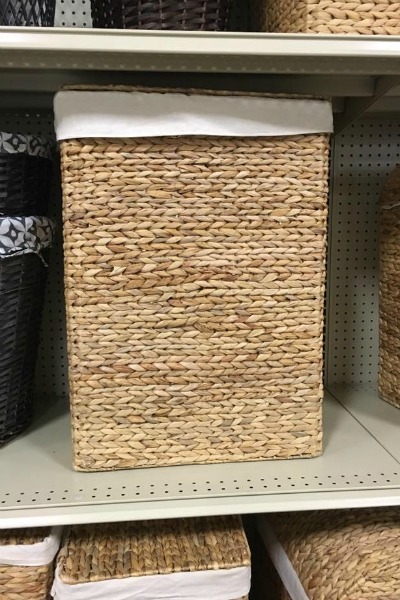 However, I haven’t been able to find a mirror I like in the right size for the space and having the hamper right outside the master bathroom is really handy, so I’ve decided to scratch the mirror idea and stick with the hamper. Although, I’ll be replacing the current hamper with this laundry basket from At Home. Don’t forget to check out the featured designers here and the other linking participants here! I have a feeling we’re going to be seeing some amazing room reveals in a few weeks! You are really making progress. I adore your gallery wall. I love that your gallery wall comes mostly from your travels! Such a neat idea! And love the hamper...I need one for the nursery!